As you work on storing up food for the future, it is important not to overlook a very important aspect- spices! It’s all well and good to have a quarter ton of wheat, stacks of buckets containing rice and beans, and mylar bags full of oatmeal, but won’t that be mighty bland by itself? 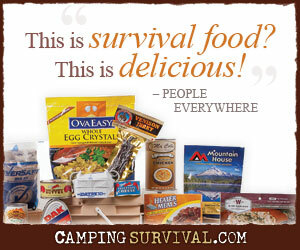 The old expression “variety is the spice of life” is right on the money with regards to food storage. We are accustomed to massive numbers of choices at the typical grocery store. We could eat cuisine from a different culture every night of the week just in prepackaged food alone. We will want to be able to recreate some of that from our own food storage. The key is stocking spices alongside those buckets and bags. Oftentimes, I put a 1 pound canister of salt in with the popcorn bags or spices like cilantro, cumin, and chili powder in with the beans. There is another perk to storing spices- many of them have wonderful health benefits. In this series, I want to share some of the things I have learned. I am focusing on cinnamon this time. Cinnamon comes from a small tree originally native to present-day Sri Lanka. It was mentioned in Chinese writings as far back as 2800 B.C. It has been so highly prized that wars have taken place to secure a monopoly on its production and distribution. At different times, the Portuguese, Dutch, French, and English have all controlled it. The monopoly was lost when it began to be grown in other regions. In the first century, Pliny the Elder recorded that cinnamon commanded a price 15 times the value of silver by weight! In recent years, several studies have been conducted to determine possible health benefits of consuming cinnamon. It is very high in health-promoting antioxidants. It has been shown to lower the “bad cholesterol” and regulate blood sugar, making it helpful for people with Type II Diabetes. It is also said to be helpful in preventing blood clots. It is said to be anti-inflammatory. Some studies have shown that cinnamon helped alleviate yeast infections in people with medication-resistant strains. Researches in Maryland found it reduced the proliferation of some types of cancer cells. Combined with honey and taken daily, it was found to alleviate arthritis pain and make moving around easier for those taking it. Many claim it improves brain function, not just by eating it, but also by smelling it. It acts as a natural food preservative when added to food in storage because it inhibits bacterial growth. Some studies show it also has anti-parasitical, anti-viral, and anti-fungal properties too. It has even shown some promise in inhibiting E. coli. In traditional Chinese medicine, it is prescribed for a variety of ailments. It is used for fighting colds, intestinal gas and upset, respiratory problems, and painful menstrual periods. It is also believed to improve energy levels and circulation to the extremities. It is a good source of manganese, iron, fiber, and calcium. Oh yeah, and it tastes really good! I don’t mention these things as medical advice to you, but to spark your interest in learning more for yourself. Cinnamon can be an irritant to the skin (some of our toddlers have gotten red blotches on their faces where they have smeared it until it is washed off), but reactions are usually mild. Taking massive quantities may be harmful to your liver or even toxic. Because of its blood thinning effect, cinnamon should not be ingested in large amounts by people taking Coumadin or other similar medications. As is always the case, pregnant women should be especially careful with what they eat. The disclaimers aside, don’t you just want to run into the kitchen and make some cinnamon rolls?! Here is a link to more benefits of cinnamon.